Is there a way for a form to be partially completed and saved? I've created quite an extensive form for a program I'm running, and my clients are finding it hard to complete all in one sitting. They need to grab info from other places and come back to the form. 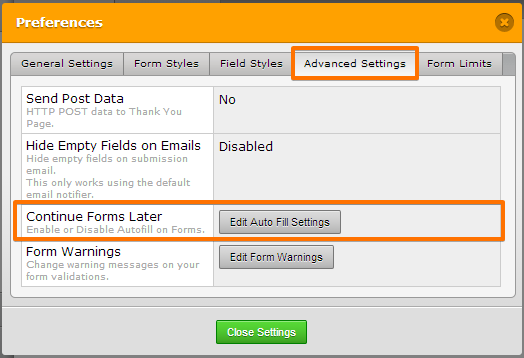 Yes this is very much possible to do in JotForm forms.